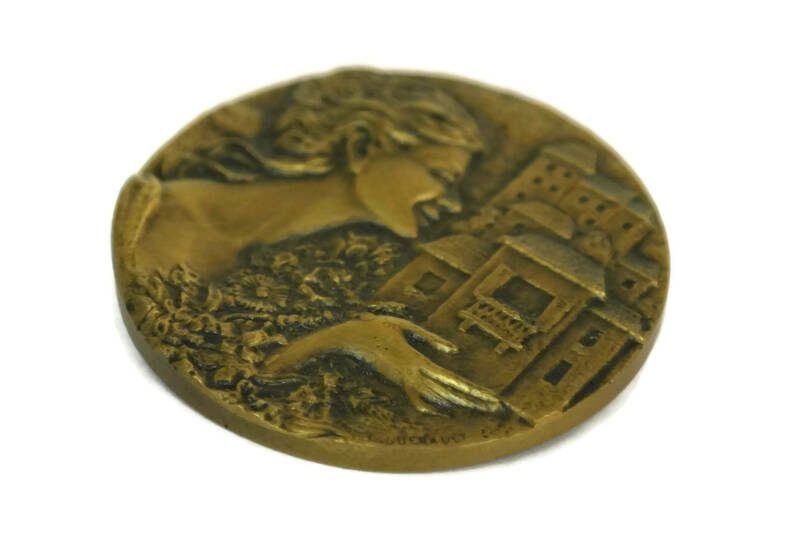 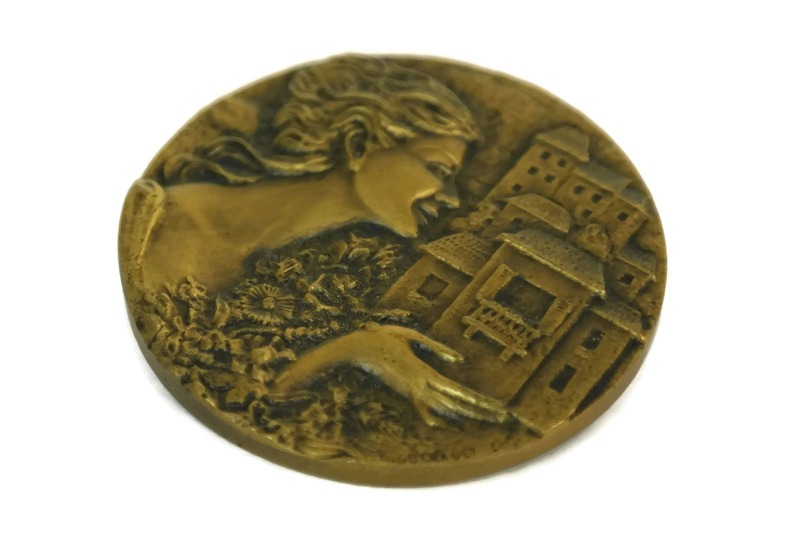 A beautiful vintage French bronze medal with the portrait of a lady dating to the 1960s. 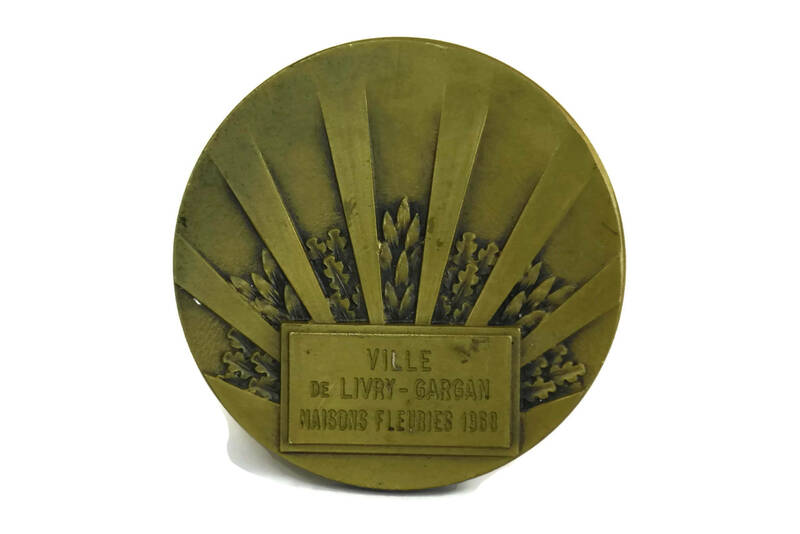 The medal has been cast from solid bronze and was awarded in 1968 in a flower competition. 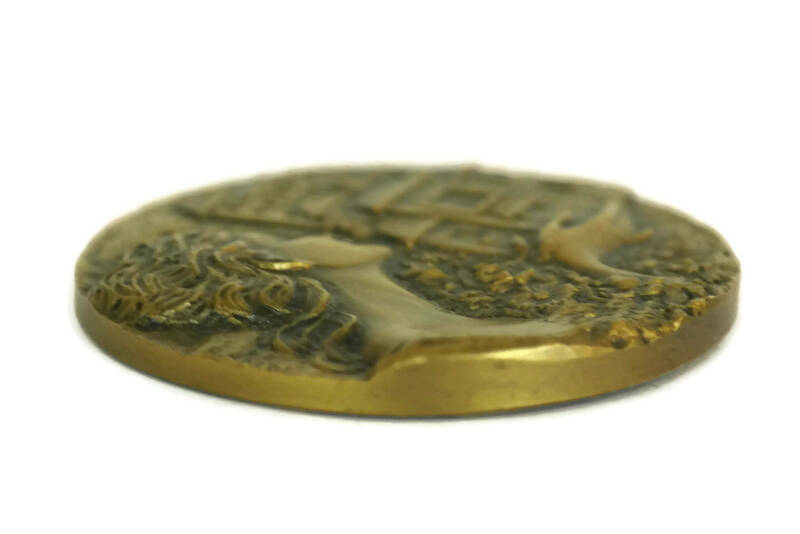 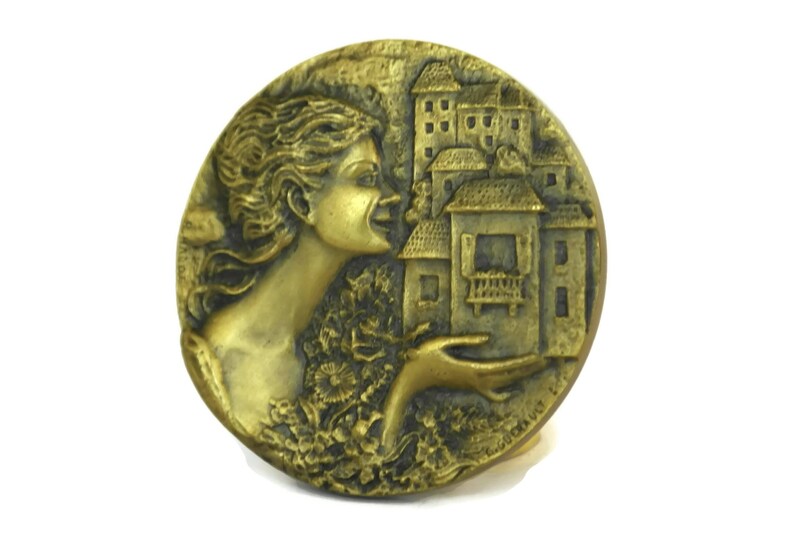 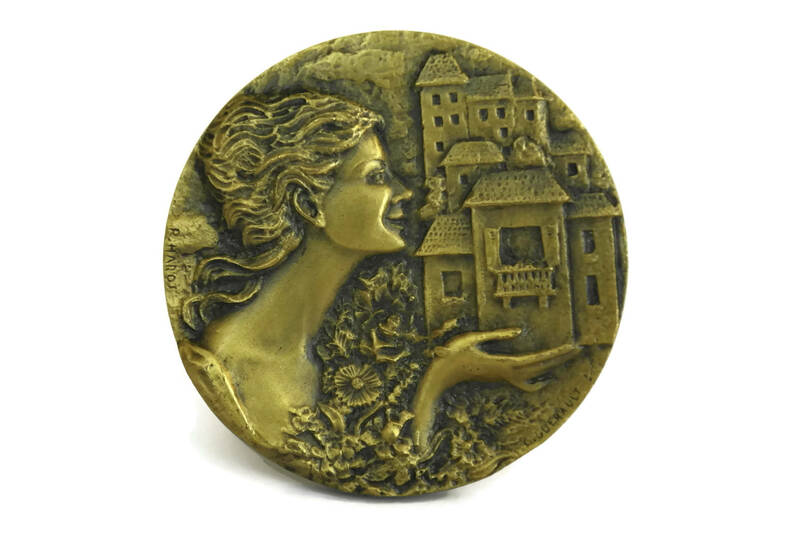 The large medal has a charming raised relief design of houses, flowers and the profile of a lady. 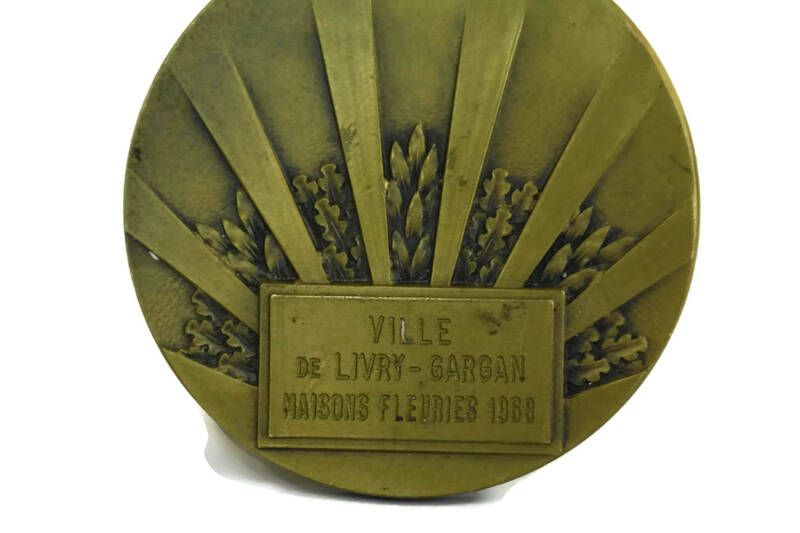 The reverse side has been stamped in French to commemorate the competition of houses decorated with flowers in the town of Livry-Gargan. 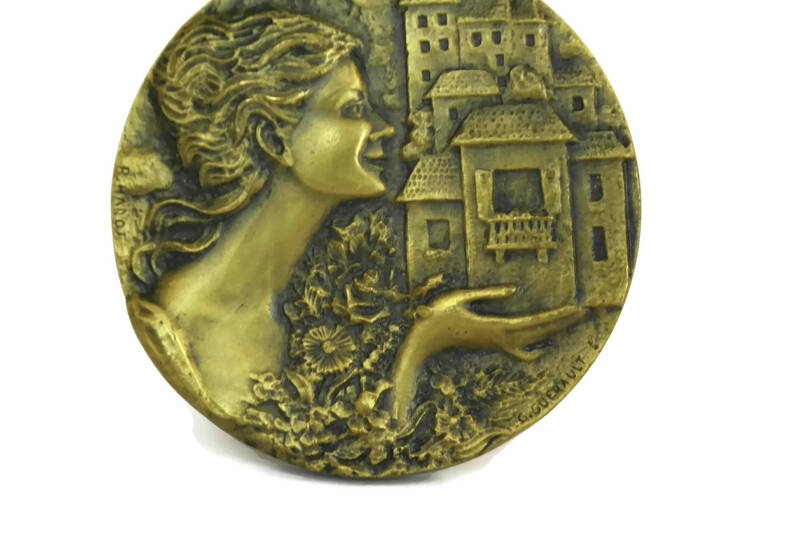 It has been signed in the casting mold with the name of the sculptors R. Harot and G. Guerault. 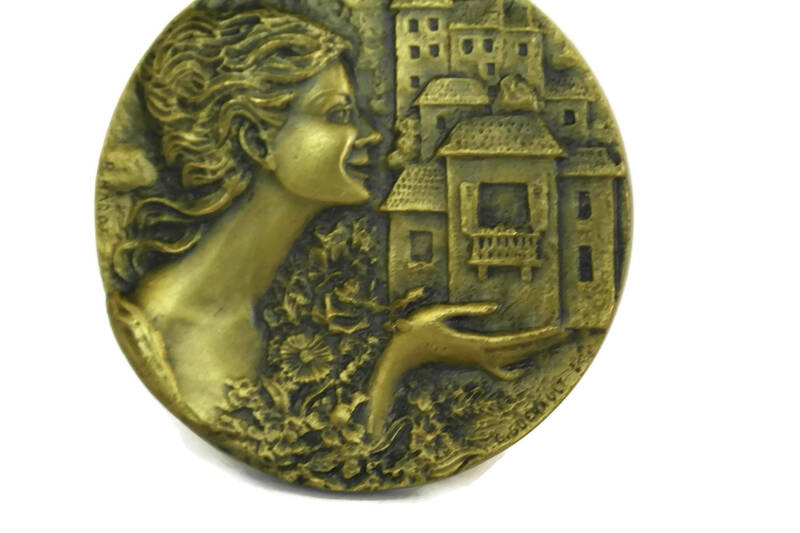 2" in diameter (5 cm). 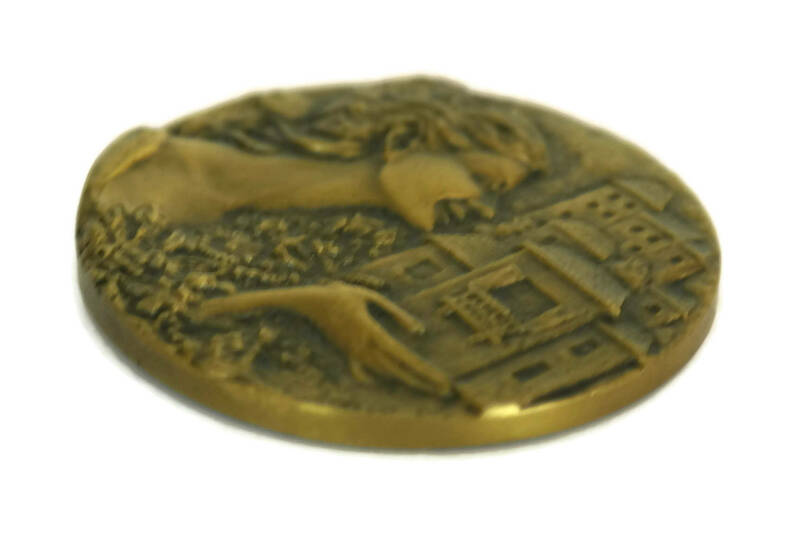 The medal is in very good condition.